a) Global security is enabled to secure your WAS server, but it requires a user registry. b) A user registry contains the user and group names for authentication and authorization purposes. 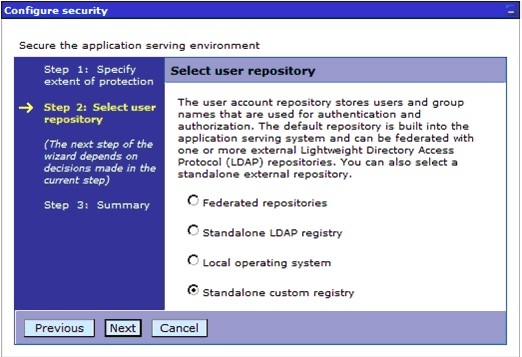 c) When we configure it , the application server will connect to the registry and perform lookups to acquire user credentials used in areas where authorization is required. Local operating system Specified the registry for the local OS. of the combinations of the other registry types. # display name = a (optional) display name for the user. # display name = a (optional) display name for the group. NOTE: Ensure that any new files you create are assigned appropriate rights using chmod and chown to ensure WebSphere processes can read the file. 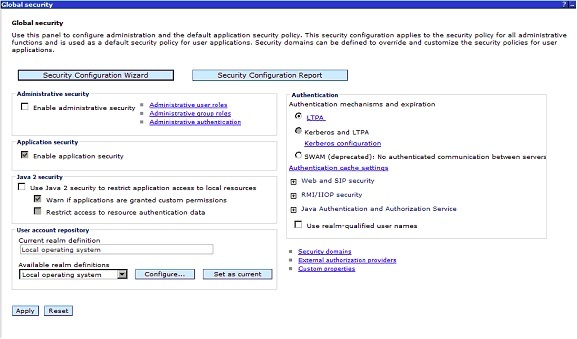 WebSphere has a wizard to set up basic security using an internal repository. 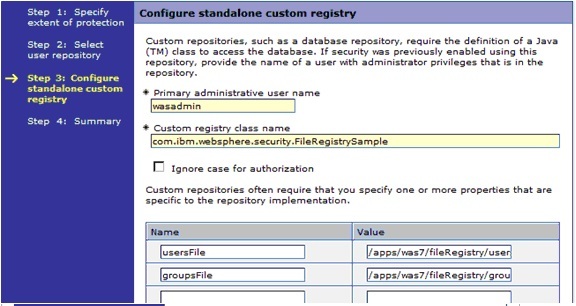 a) Type wasadmin in the Primary administrative user name and add two properties. Click Next to view the summary, and then click Finish to complete your file-based repository. You are being redirected to a secure site and a warning that you have received a Secure Sockets Layer (SSL) certificate from an unknown Certificate Authority (CA) will be shown in the browser. 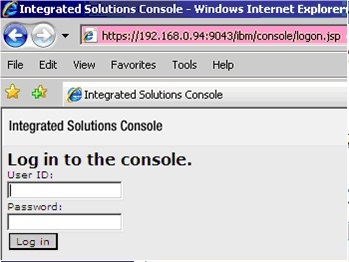 to gain access to the administrative console.